The build-up to the Superclásico to end all Superclásicos has been exhausting. 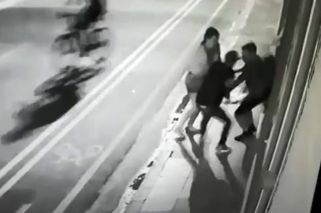 But now, it’s finally here. 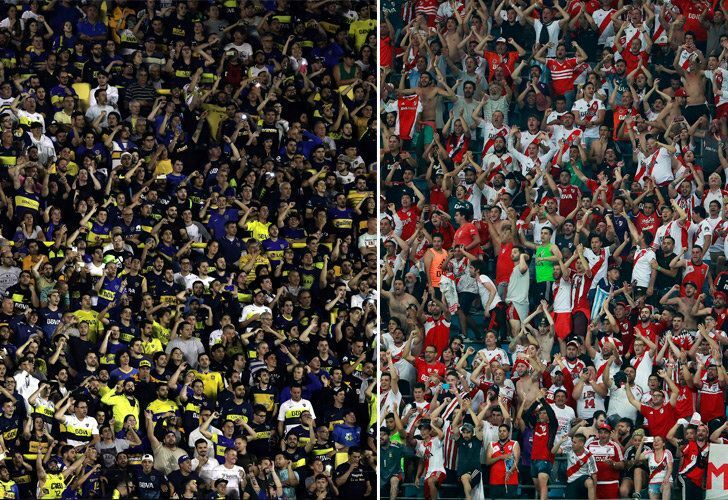 This Saturday, Boca and River clash at the Bombonera in the first leg of a mouthwatering Copa Libertadores final. Just nine days have come and gone, but it already feels like an eternity since Darío Benedetto’s goal finally confirmed our greatest dreams – and biggest nightmare. 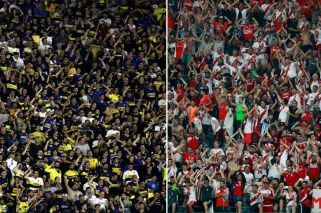 The Copa Libertadores final commences today in Boca Juniors’ rabid Bombonera home, with the opponent none other than the Xeneize’s Superclásico arch-rival River Plate. The fact that this game has been organised at all is a minor miracle. Every possible facet of the imminent two-legged final – which will be defined two weeks from now in River’s Estadio Monumental – has been scoured over, analysed, disputed and negotiated in the effort to get both of Argentina’s two biggest sporting institutions on the pitch at the same time. From the very day of the game – the original Wednesday slot was discarded as likely to create chaos on the streets of Buenos Aires, while Saturday was met with some resistance by both River and Boca due to its clash with Jewish fans observing Shabbat until nightfall – to whether Millonario coach Marcelo Gallardo would be allowed on the bench or even the stadium, the build-up to this match has been just as exhausting as 90 minutes of professional football. Gallardo will ultimately be missing from the Bombonera this afternoon. CONMEBOL came down hard on the River coach for his antics in sneaking into his team’s dressing-room during the semi-final against Grêmio while banned, extending that touchline prohibition and also taking the draconian step of essentially imposing a restraining order on his head for the first leg. The governing body did not, however, go as far as the Brazilian side hoped and throw River out of the competition – although in a borderline farcical move, the first CONMEBOL communications on final times and dates included an asterisk by River’s name as the Brazilian club’s appeal rumbled on. If the sign of a good compromise is that it leaves all parties dissatisfied, CONMEBOL got the tone just right: River were left seething by the hefty punishment faced by Gallardo, while Grêmio blasted the organisation for not disqualifying their opponents. While the Millonarios and Gallardo sweated on that ruling, between Olivos and various national and city ministries comments and instructions over the Superclásico were flying back and forth like a Grand Slam tennis match. An apparently restless night’s sleep for President Mauricio Macri led him to wake up with a wish to see away fans in the two legs of the decider: “An opportunity to show maturity and that we are changing, we can play in peace,” he said. Argentina’s and Buenos Aires’ Security ministries were prompted to work out just how possible it would be to put in place their chief’s pre-breakfast desires, while all around the government criticisms were flying in from all sides. Ultimately good sense prevailed and those in charge back-tracked over away fans – as they did with an original order not to let fans celebrate at the iconic Obelisco. Not even Boca speedster Cristian Pavón has the ability to bewilder and disconcert his marker with such ability as those of us looking on have been bamboozled in the past few days of constant news. With so much going on off the pitch, it is easy to forget that in the middle of it all there are actually two football games to be played. Boca go into the final buoyed by a brilliant 4-2 aggregate victory over Palmeiras in the last round, and with the confidence of a team whose consistency and depth of talent over the last few years is unmatched by any other team. The re-appearance of Benedetto, author of three of his side’s four goals in the semi, following a long absence with a knee injury is a massive boost for the Xeneize, who have found the net hard to come by in recent clashes with River; while the promising midfield axis of Wilmar Barrios and Nahitán Nández promises a solid base to work off against their bitter rivals. River, meanwhile, will appeal to a cup record that is second to none under Gallardo. The 2014 Sudamericana semi-final; the 2015 Libertadores last 16; this year’s Supercopa: each one-off tie disputed between the Superclásico sides has finished in the Millonarios’ favour since the coach walked back through the doors of the Monumental, an incredible record that speaks volumes of River’s coolness under pressure when it matters most. With stars like Exequiel Palacios, Gonzalo Martínez and formidable goalkeeper Franco Armani to name just a few, the Núñez team are no slouches on the field either, and will look to keep things tight at the Bombonera while leaving open the opportunity to hurt Boca on the counter. That strategy worked a treat the last time River visited La Boca, helped by two outstanding strikes to decide the game in their favour; but will the Xeneize learn their lesson this time around? No matter what happens over the next 14 days, an audience of football fans from across the world will be glued to television screens watching Argentina’s two biggest clubs face off in South America’s most important club competition. To the winner will go the spoils: a place in the Club World Cup and bragging rights for roughly the next century (or until the next BocaRiver final at least). And for everyone involved it promises to be an unmissable, unforgettable spectacle.